Making sure all elements of an installation are positioned correctly is vital to a well-functioning installation. Misalignment can cause friction, vibrations, excess wear or potentially devastating failure to any of the elements. 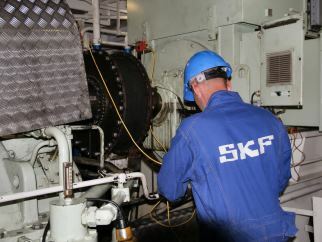 SKF Solution Factory - Marine Services offers horizontal and vertical shaft alignment services for many applications, such as the positioning of all elements of the propulsion train, from the main engines, through gearboxes, flanges, bearings, stern tubes, to the propeller, as well as pumps, pod thrusters and auxiliary power system. 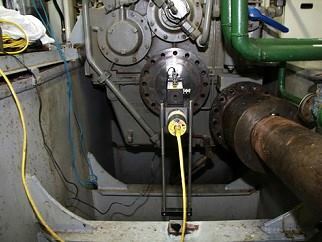 For these alignment measurements SKF Solution Factory - Marine Services makes use of laser, strain gauge, dial indicator, 3D and dynamic measurement technologies. With straightness and line bore measurements, relative positions of objects over a required distance is measured. A frequently applied example is the straightness of bed plates for large two stroke engines, as well as the line bore of engines, steering installations or entire propulsion installations. Straightness of the bed is a crucial requirement for the proper functioning of an engine. A flatness measurement is used to check the height of various measurement points in relation to its foundation. Bed plates of engines and gearboxes are a frequent application of flatness measurements, where it is crucial that the flatness of the foundation bed is correct in order to avoid extreme wear or potentially devastating failures. 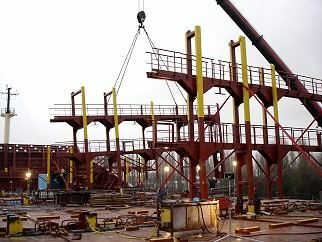 Other examples include slewing bearings for on board crane pedestals and other machine foundations. Perpendicularity measurements involve making sure two planes are aligned at exactly 90 degrees of each other. 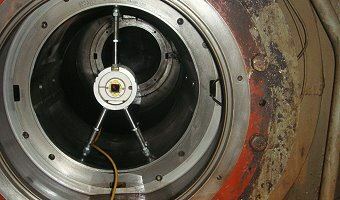 This type of measurement is often applied to seal landing faces and the connection faces of stern tubes in order to create a good seal, and relations between the rudder and the steering installation, as well as for the position of container racks on board container vessels. 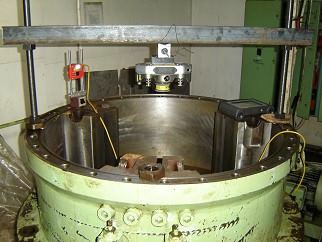 For this alignment measurement SKF Solution Factory - Marine Services makes use of laser, clock and 3D measurement technologies. Parallelism measurements make sure elements of the installation are parallel to each other is crucial for the proper functioning of the installation. 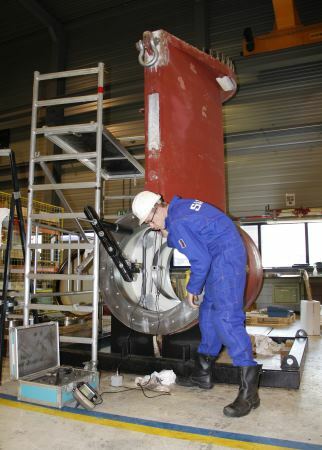 Parallelism alignment measurements SKF Solution Factory - Marine Services has performed include the parallelism of bores in gearboxes, the parallelism of guiding rails for hatches, cranes and dividers, as well as of conveyor systems.